This talk is sold out. In “Pace Layer Thinking” Stewart Brand and Paul Saffo will discuss Stewart’s six-layer framework for how a healthy society functions. It is an idea which, 15 years after he first suggested it, continues to be influential and inspiring. Because interest in this event has been overwhelming (tickets sold out within hours of our announcing it), Long Now will share a live audio stream on the Long Now member site. Any member can access this stream starting at 7:15pm PT tonight. Memberships start at $8/month. We also live stream our monthly Seminars About Long-term Thinking to our members. Stewart will join fellow Long Now board member Paul Saffo (Stanford, Singularity University) to reflect on the past and future of one his many enduring ideas. An expert forecaster himself with decades of experience, Paul will put Pace Layers’ influence into perspective. And lead a discussion with Stewart and the audience about the many ways that Pace Layers thinking can be useful. 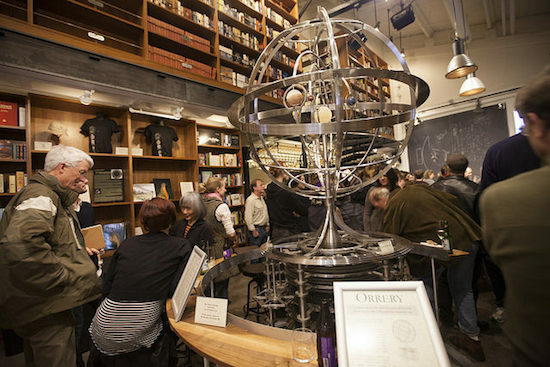 This talk takes place at The Interval, Long Now’s San Francisco museum/bar/cafe/venue. The Interval hosts events like this on Tuesday nights a couple times a month. The limited capacity guarantees an intimate event. Speakers at The Interval stay afterwards to continue the discussion with the audience. See our upcoming lineup here. 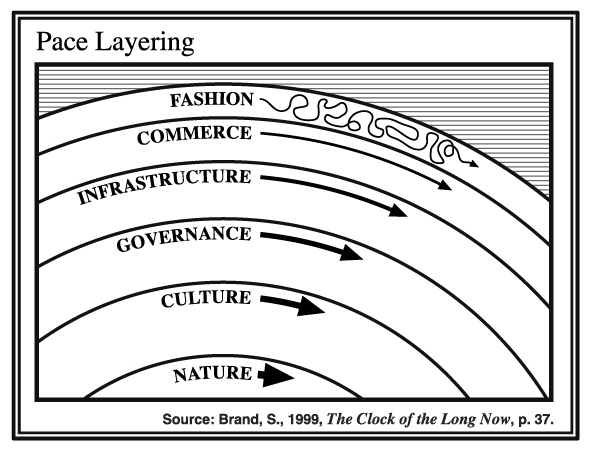 Stewart Brand first explained the idea of “Pace Layers” in his 01999 book The Clock of Long Now. On page 37, in a chapter that cites Brian Eno and Freeman Dyson amongst others, the diagram first appears. It shows six layers that function simultaneously at different speeds within society. We will have a limited number of signed copies of The Clock of Long Now as well as Stewart’s How Buildings Learn for sale at the talk. Recently Stewart spoke about Pace Layers at the Evernote Conference (video below) at the request of Evernote CEO Phil Libin. Phil’s intro makes it clear how much Stewart’s work has influenced him. Especially Pace layers. If you weren’t able to get tickets to tonight’s talk, you can still tune in online at 7:15 PT for the live audio stream if you are a member of The Long Now Foundation. 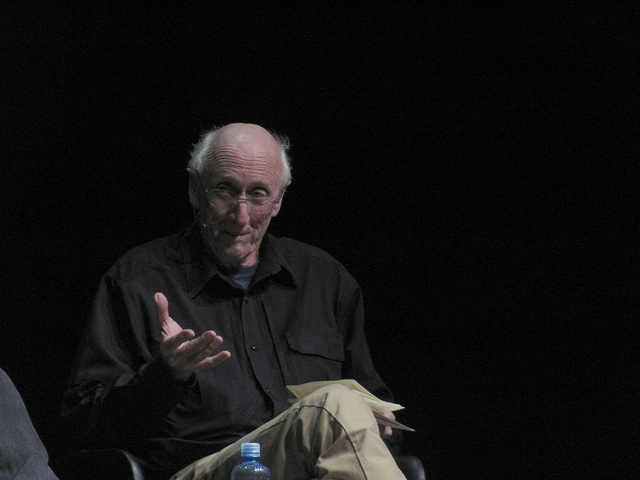 Stewart Brand co-founded The Long Now Foundation in 01996 and serves as president of the Long Now board. He created and edited the Whole Earth Catalog, co-founded the Hackers Conference and The WELL. His books include The Clock of the Long Now; How Buildings Learn; and The Media Lab, and most recently Whole Earth Discipline. He curates and hosts Long Now’s monthly Seminars About Long-term Thinking series in San Francisco. He also co-founded Revive & Restore, a Long Now project focused on genetic rescue for endangered and extinct species. Paul Saffo is a Long Now Foundation board member and a forecaster with extensive experience exploring the dynamics of large-scale, long-term change. He teaches forecasting at Stanford University and chairs the Future Studies and Forecasting track at Singularity University. He is a non-resident Senior Fellow at the Atlantic Council and a Fellow of the Royal Swedish Academy of Engineering Sciences. Paul’s essays have appeared in The Harvard Business Review, Foreign Policy, Wired, Washington Post, and The New York Times amongst many others.